Monrovia Lexus Repair - Seiko's Auto Service Inc. 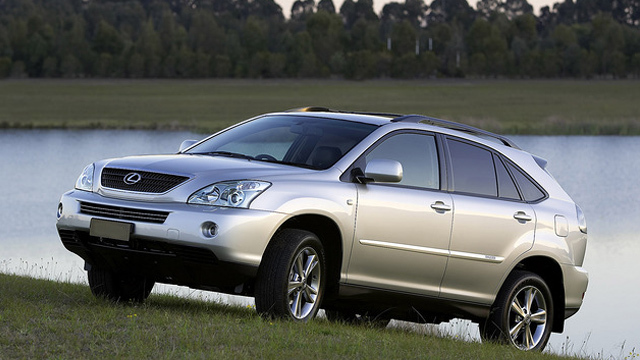 Owning a Lexus should be an enjoyable experience, so should maintaining it. You shouldn't feel stressed out about having to take your vehicle in for service. Because of this, our team at Seiko's Auto Service will make sure you get the top-notch service you deserve at a price that works for you. We have a team of ASE certified technicians who are ready and willing to handle your Lexus service and repairs in Monrovia. Our team understands how important it is to get you back on the road as quickly as possible. When you stop in and see us, we will get to work identifying the problem right away. Once we know what's going on with your vehicle, we will let you know what needs to be done to get it where it needs to be. Then, we work on getting the work completed in a timely fashion for you. The best part about coming in to Seiko's Auto Service for your Lexus service and repairs in Monrovia is that we offer a standard 36-month/36,000-mile warranty. This means that you can rest assured that your vehicle is going to stay on the road for longer. We aren't here to make you spend more than you need to. Our team wants you to feel comfortable and confident in knowing that we have you covered every step of the way. From a simple oil change to an extensive transmission rebuild, you can trust in our experience and expertise to get the job done in a timely fashion for you. Regardless of what might be going on with your vehicle, you can trust in our team to get to the bottom of the problem and get you back on the road quickly. Don't leave your vehicle repairs to chance. Come in and see someone who knows what it takes to keep your Lexus in top working order.